If you're looking for a wildlife program and don't mind learning while you laugh, I have a number of programs that should suit your needs. My lectures feature live, native North American wildlife. I specialize in the animals that live all around us — species that have adapted to living in urban/suburban landscapes. Most of us have never even seen many of these species, and, even if we have, we know little about their fascinating and secretive lives. The Falconry Experience by The Hotel Hershey acquaints participants with the history of man's relationship with raptors and the evolution of falconry. 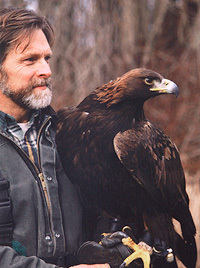 It includes free-flight demonstrations, a simulated hunt demonstration, and an opportunity for participants to call a hawk to their gloved hand.